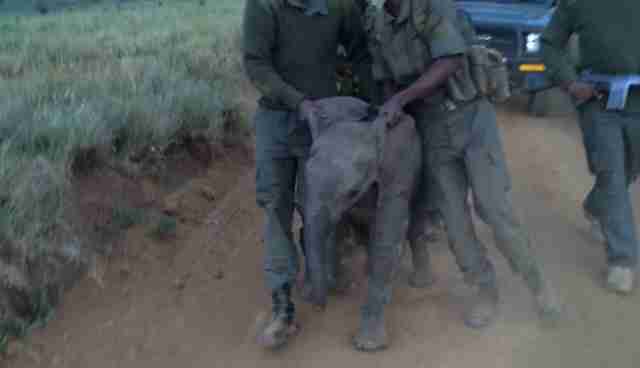 The job of an anti-poaching ranger goes beyond the hard work of guarding the animals from humans trying to profit from their horns and tusks. 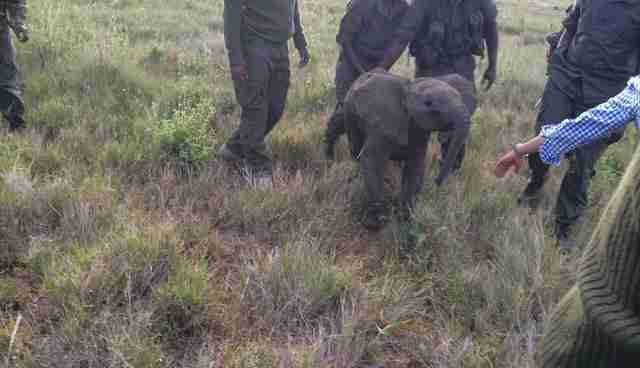 When a very young elephant wandered off from his mother and the elephant herd at Lewa Wildlife Conservancy in northern Kenya, rangers hurried to help him. If the calf wasn't reunited with his family, the baby could have died - a pride of over ten lions was following him closely. 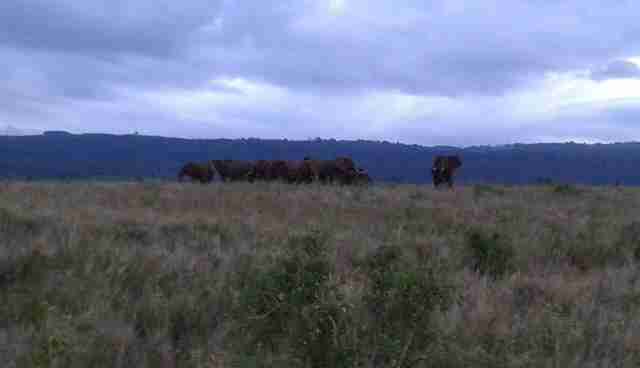 When the rangers found the baby, the herd was already over a mile away. 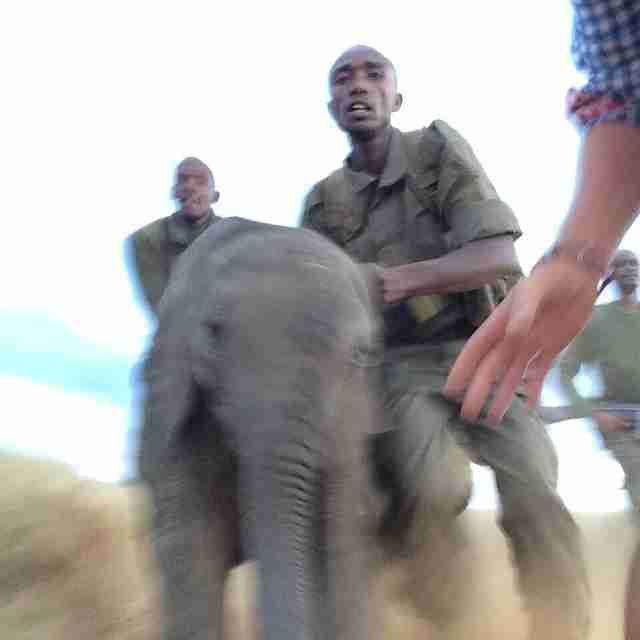 Rangers walked the tiny elephant toward his family. When they got close enough, the baby's mother came right over and steered her little one back to the group where he belonged. With a population of close to 6,500 animals to watch over, these amazing rangers are responsible for a lot of precious lives. 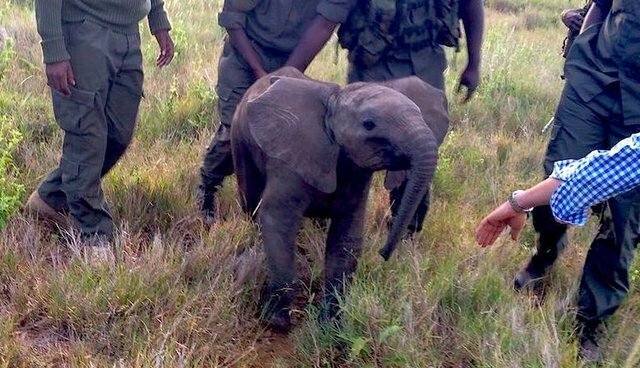 We're so glad this baby elephant is back with his mom. 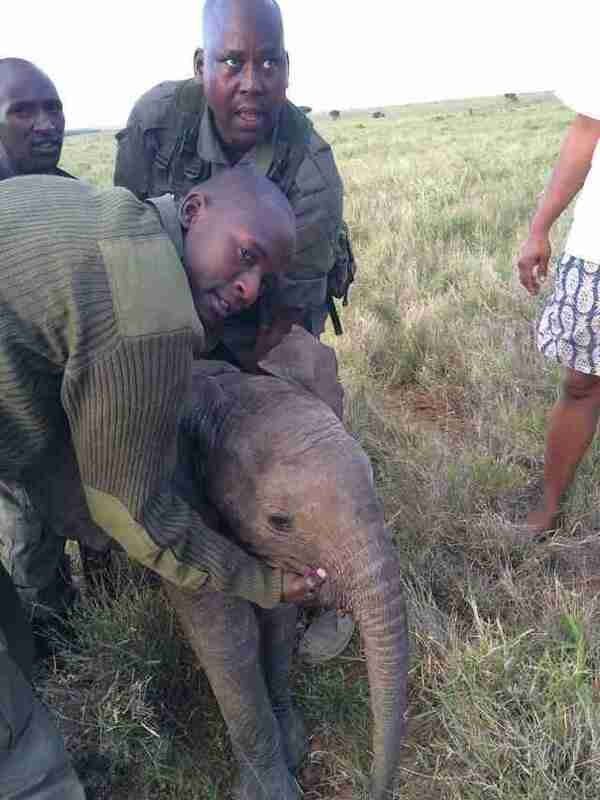 Lewa Wildlife ConservancyLearn how you can help elephants like this baby here. With a population of close to 6,500 animals to watch over, these amazing rangers are responsible for a lot of precious lives. We're so glad this baby elephant is back with his mom. Learn how you can help elephants like this baby here.